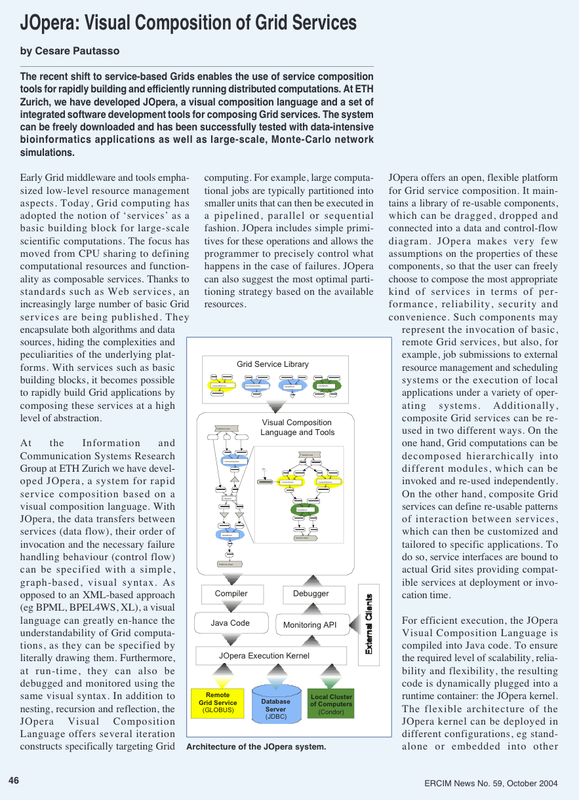 The recent shift to service-based Grids enables the use of service composition tools for rapidly building and efficiently running distributed computations. At ETH Zurich, we have developed JOpera, a visual composition language and a set of integrated software development tools for composing Grid services. The system can be freely downloaded and has been successfully tested with data-intensive bioinformatics applications as well as large-scale, Monte-Carlo network simulations.